Select your membership plan and get our best woodworking videos, projects and plans with 24/7 access to our woodworking experts, automatic renewal and our ‘cancel anytime’ policy. Building a dresser is a great project to take on, with lots of skills to master. One of the aspects of building a dresser that many woodworkers find intimidating is to build inset drawer fronts, which can be a distinctive accent to a dresser or cabinet project. There are a couple reasons that inset drawer fronts can be intimidating. First, your carcase and face frame have to be perfectly square, or you will have to fit your inset drawer fronts to a parallelogram opening, which is no fun. Secondly the reveal around the inset drawer fronts has to be precise and consistent around the perimeter. Determine your reveal. If you go too small your inset drawer fronts will be challenging to fit properly and they might be prone to sticking due to variations in humidity. If the reveal is too large, the dresser won’t look right. Use a spacer. Based on the reveal that you have chosen, use a spacer that matches the total reveal on the top and bottom. Use a transferable measuring device. Measure the opening using a simple device that can be carried to your table saw to set up the saw for your cut. Cut your inset drawer fronts. To make them look special, you might want to create a continuous grain drawer front. After your inset drawer fronts are ready to go, check out some tips for installing drawers. 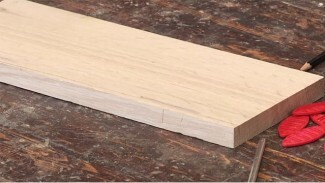 Applying veneer on your woodworking projects is easy when you know the necessary steps. 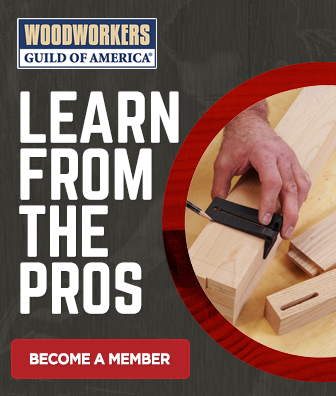 Our master woodworker George Vondriska teaches you all of the details essential for completing the process, like choosing and applying the right glue and finding the best way to properly clamp the assembly. Do I Really Need an Impact Driver? Seeing is believing! 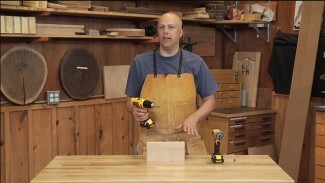 Watch this demonstration and don’t be surprised if your next tool purchase is an impact driver. For more information about impact drivers check out the related impact driver product review. It’s time to drop your standard woodworking clamps and check out these clamping biscuits. 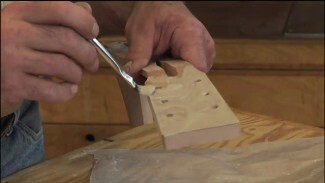 Master woodworker George Vondriska teaches you how they work and how they can be an easy solution in your woodworking shop for some of those more difficult-to-clamp joints.